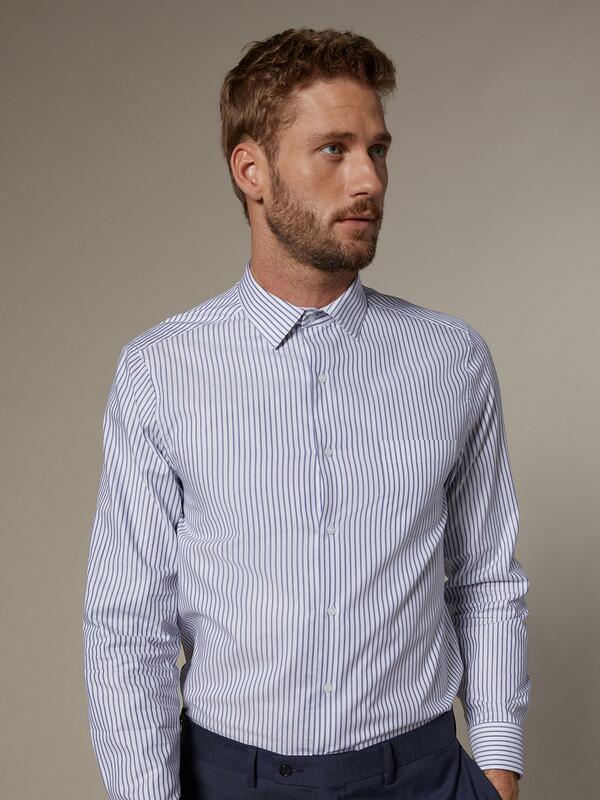 Shirt in a stripe Oxford fabric with classy cool urban style. 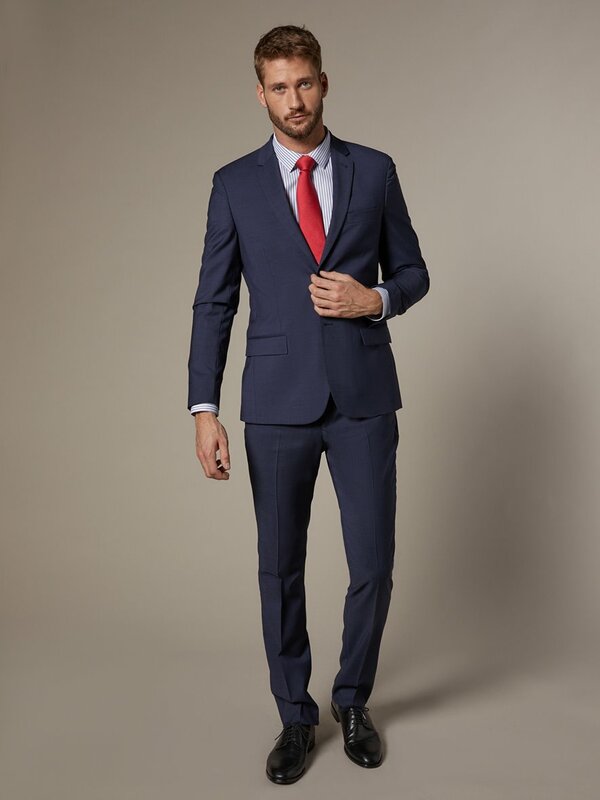 Straight fit suits all body types. French collar, slightly rounded hem. Breast pocket. Shoulder yokes. Back yoke with 2 simple pleats for comfort. Length 78cm, sleeve length 65cm approx. With its basket weave, Oxford cloth is simultaneously soft, hard-wearing and easy-care. Oxford shirts are as urban as they are casual.